He was born Aug. 20, 1937, in Little Paint, Ky., to George and Hattie (England) Music. Charles owned and operated Music Service & Repair located in North Manchester, until he retired in 2013. He married Lula (Owens) on Dec. 28, 2002. Charles is survived by his wife, Lula (Owens) Music, North Manchester; two sons, Rick (Martha) Music, Silver Lake, and Michael (Debbie) Music, Warsaw; one daughter, Cheryl (Todd) Harshman, Akron; two brothers, Frank (Mary Belle) Music, North Manchester, and George (Billie) Music, North Manchester; and one sister, Helen Yentes, North Manchester; seven grandchildren and 11 great-grandchildren. He was proceeded in death by his parents George and Hattie (England) Music, his first wife Rosalie (Holloway) Music, a son, Timothy Charles Music, and agrandson Kyle A. Music. Charles was a paratrooper with the 82nd Airborne Division at the end of the Korean War. He grew up in Laketon, from the age of 5 and attended school there. He loved playing music with a gospel group called "Old Friends" at Gethsemane Ministries in Huntington, where he and his wife attended. Charles joined Christian Fellowship Church in North Manchester and was baptized by the late the Rev. Robert Gidley on March 29, 1981. 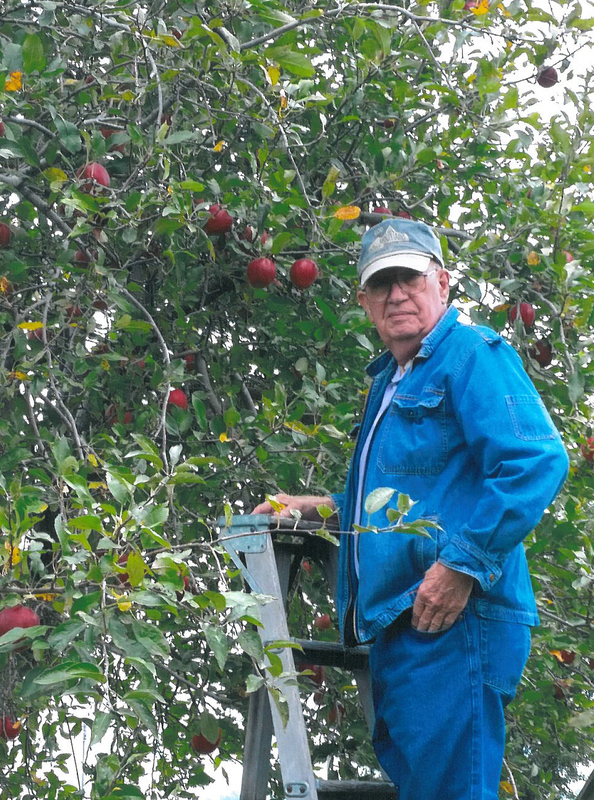 He was an avid gardener and fruit grower and enjoyed many hours in his shop tinkering and working on family projects. Charles also enjoyed spending time with his family, friends, and his two dogs "Smokie" and "Jimmy." Family and friends may call Tuesday, Dec. 22, 2015 from 4-8 p.m. at McKee Mortuary, 1401 State Road 114 West, North Manchester. Service will be Wednesday, Dec. 23, 2015, at 10 a.m. at the mortuary. Pastor Worlie Newsome will officiate. Burial will be in Laketon Cemetery, Laketon. For those who wish to honor the memory of Charles J. Music, memorial contributions may be made to Boy Scouts of America, 4601 W. 1300 N., Silver Lake, IN 46982 or Gethsemane Ministries, 2239 Hartman Street, Huntington, IN 46750. Private condolences to the Music family may be sent to mckeemortuary.com.